Arjun is a jack of many trades. He’s a nature lover, cricketer, percussionist, singer, actor, voice -artist, entertainer and educator, all rolled into one. Yet to discover his calling, Arjun has spent most of his life helping others find joy, purpose and peace in their lives. Raised in a culturally diverse family in Bangalore, India, Arjun fluently speaks five native Indian languages in addition to English. He likes to challenge the status quo, get out of his comfort zones and explore new possibilities. In his career spanning eleven years, Arjun started out as a front office assistant with the Taj Group of Hotels. 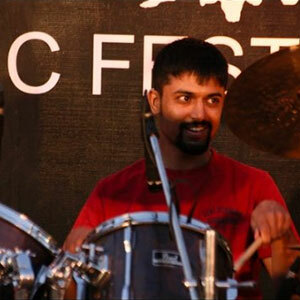 He quit his hotel job to complete a master’s degree in Communication and Media Studies from Christ College, Bangalore. He went on to become a radio producer and prime time evening show host at Fever 104 FM, a leading radio network in India. After a four-year stint in radio, Arjun developed an interest in education. He completed a diploma in Experiential Education and Practice from Kaveri College in Pune, India. The program transformed his outlook towards life and introduced him to a methodology of creating safe, meaningful and enjoyable learning experiences. He facilitated experiential learning programs for school and university students and co-facilitated corporate training programs. In his most recent assignment, Arjun worked as a senior instructional designer with an eLearning Solutions company in Pune, where he developed 2D and 3D animation-based training modules. Arjun finds exciting connections between seemingly unrelated dots. He fuels his curious and passionate soul by playing drums, singing, bonding with friends, reading non-fiction books and cooking.